For the fourth time, a new city in Japan will become my home. After completing the degree in Education, that kept me stressed this last 12 months, I was lucky enough to get a job and am moving to a mountainous bed-town called Ikoma. Hikone is a hard place to leave. I’ve spent all August trying to soak as much of it into my memory as possible. Cycling through narrow, black wood and ceramic tile fenced backstreets, discovering the shrines of incredibly local gods, and joining in every summer festival possible, I don’t know if I’ve ever been happier. Wood written with prayers to the dead were burned during Obon. On arriving here, there was the inevitable new town/no friends culture shock, which I am not looking forward to experiencing again, but I filled the extra time starting this blog and finding people of interest to interview. Eventually, I got my feet, started attending live music concerts, organising photoshoots with friends, and attending all the variety of festivals occurring. Sometimes, I didn’t even have to travel very far. Half-way through hanging out washing, I heard the taiko drums, and suddenly was wrapped in a Happi and helping carry them. It’s hard to choose a favourite season to live in, or visit, Hikone. Summer is the most fun, though with the least sleep. 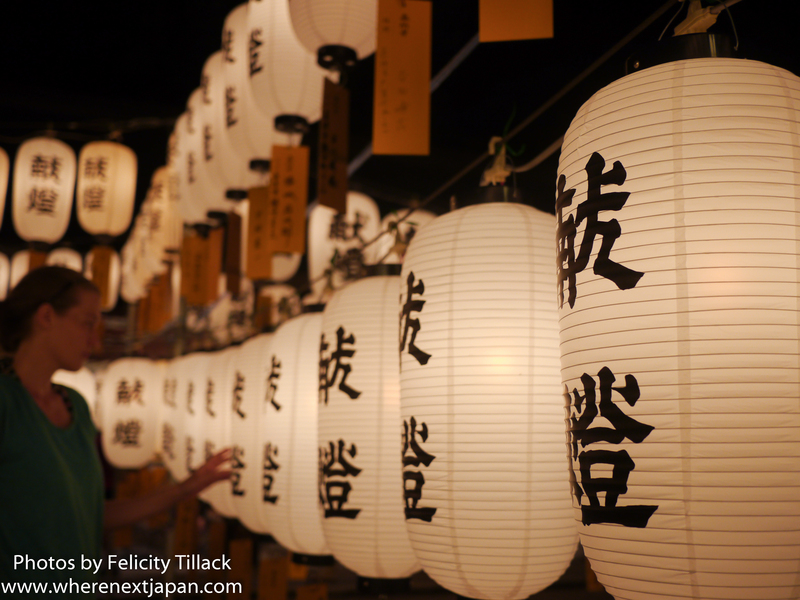 There’s Birdman, festivals for just wearing pretty yukata, a lot of dancing, fireworks, and sooo many lanterns – from river lanterns, to overwhelming hoards of lanterns. The festivals make the summer heat and soggy atmosphere bearable. Autumn is gorgeous. So is spring. Winter is pretty too, but too much time indoors makes everyone depressed. At least there was book-club to keep me going. Probably the best thing about living in Hikone, was meeting my friend, and now fellow Where Next Japan team-member, Ryann. Ryann is an amazing, motivated person, who took our idea of starting a Youtube travel/culture channel from a thought and scribbled brainstorm, to our first 1000 views!!! reality. She is one of the few people I can spend days with and not at some point get a bit tetchy with, and I think the only person in the world who can organise a bridge-full of total strangers into a band-album cover pose. This is the normal effect Ryann has on people. I have truly loved living in Hikone. I have met excellent people and had amazing experiences. None of that will stop after moving to Ikoma. 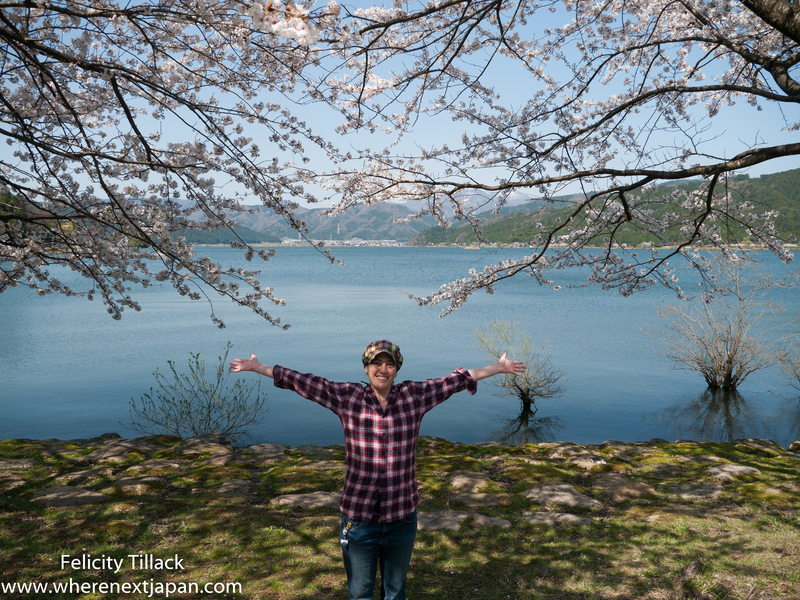 Ryann and I will still be making videos, visiting new festivals in Ikoma, Osaka, and Wakayama. Where Next Japan? continues to be a relevant question for us, and an exciting one. There is a lot of heartache leaving Hikone, but I will always be grateful for the good times and memories. And for good Indian food shared with awesome people. Ikoma has it’s own charm too. Lots of hiking trail around the mountain. I hope you will have fun in Ikoma too. Thank you! I hope she enjoys living here ^^ Which part of Japan is she moving to? O… I’m such a bad friend. I can’t remember…. I’ll ask her.